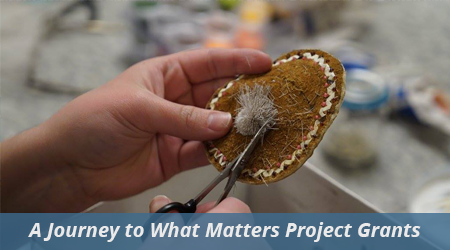 TCF has compiled a list of resources, which serve to benefit individuals, organizations and tribal entities who are seeking funding or assistance with developing programs in their community focused on education, culture and Alaska Native artists. We are also happy to discuss grant-writing plans with tribal and Alaska Native organizations- contact us for more information. These toolkits contain The CIRI Foundation’s logo in both black and teal (vector file type available upon request); the IRS grant restrictions for your reference; sample surveys for grant programs; evaluation report guidelines; and sample budgets in lieu of an audit if needed. The toolkits are in .zip files. If you have trouble downloading these files, please contact us at tcf@thecirifoundation.org if you are a grantee in need of one of our forms or media. Evaluation Perspectives | This document may be helpful in understanding different options for evaluation metrics. Click on each item to download. Complete applications are located on the project grant pages. 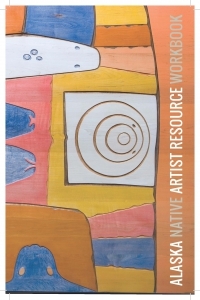 The Alaska State Council on the Arts, in partnership with The CIRI Foundation, is pleased to provide the Alaska Native Artist Resource Workbook to assist Alaska Native artists in furthering their artistic careers. Please contact ASCA for more information about the workbook and upcoming artists professional development workshops scheduled across the state. Click on the book cover for an electronic copy! The purpose of this handbook is to offer suggestions and clarify the process of writing a grant proposal for arts funding. This text was originally developed by the First Peoples’ Cultural Council (FPCC), a British Columbia Canada based organization whose mandate is to support the revitalization of Aboriginal language, arts and culture. 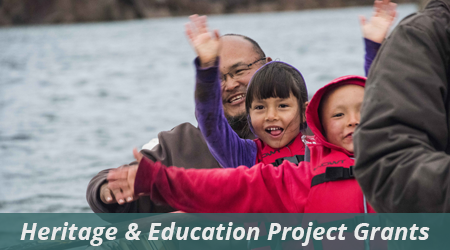 FPCC very generously agreed to share their workbook with The CIRI Foundation (TCF) to be adapted to provide information and resources specific to Alaskan artists. 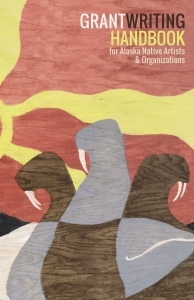 Lena Jacobs of Benozaadleyo Consulting, LLC assisted in the research and editing to create this revised Alaska version of the handbook. increase our resources to perpetuate and promote the unique artistic and cultural traditions of Alaska Native peoples! Artist Resources | Additional resources available to Alaska Native Artists. Evaluation Support | Additional resources available for planning an evaluation. Rasmuson Foundation Communication Toolkit | Sharing your story and project are vital to the success of you project. Alaska State Council on the Arts | Learn more about ASCA grants and artist resources. Foraker Group Community Education Calendar | Many free and low-cost educational opportunities for nonprofit sustainability and resource development.